Did a Mystery Plumber Design the BP Containment Cap? We’ve heard so much about the containment cap that’s been holding back oil from gushing into the Gulf of Mexico in the past few weeks that pretty much everyone knows what it is. But the question remains – who designed it??? We were under the impression that some engineer on BP’s payroll was responsible but some new information brings to light a “mystery plumber” who may be able to take credit, if he would only come forward. 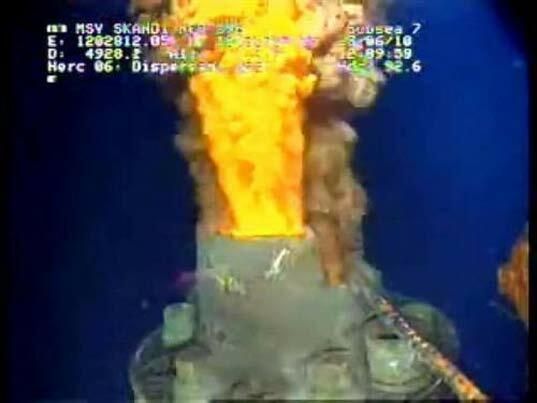 According to Discover Magazine and the Christian Science Monitor, Berkeley engineering professor Robert Bea got a call late one night about six weeks ago from a “mystery plumber” saying he had a design for a containment cap that could fit over the top of the failed blowout preventer at the heart of the Gulf oil spill. Bea, who happens to be a former Shell executive, thought the sketch seemed like it could work and sent it directly to the US Coast Guard and to the site calling for ideas from the public. Well imagine Professor Bea’s surprise when he saw how similar the actual containment cap being lowered onto the well last week looked to the sketches he had just seen six weeks prior! Bea said that the shy plumber’s humble reluctance to give his name nearly brought him to tears. But is it really his design capping the Macondo well? Well, 300,000 ideas from the public were submitted to BP, who says “There’s no way of finding out at the moment” [whether Bea’s forwarded suggestion from the self-described “lowly plumber” made it into the design.] “There’s also a good chance that this was already being designed by the time this [tip] came in.” But they also added, “I’m sure we’ve used bits and pieces of suggestions [from the outside] and have picked things out that could be used going forward,” so if you submitted a design, you never know, it may very well be in action in the Gulf right now! We've heard so much about the containment cap that's been holding back oil from gushing into the Gulf of Mexico in the past few weeks that pretty much everyone knows what it is. But the question remains - who designed it??? We were under the impression that some engineer on BP's payroll was responsible but some new information brings to light a "mystery plumber" who may be able to take credit, if he would only come forward.